Which cereal uses the slogan "They're Grrreat!"? 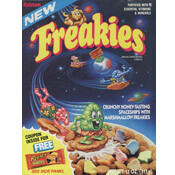 This limited edition cereal is described on the front of the box as a "marshmallow flavored cereal with marshmallows." 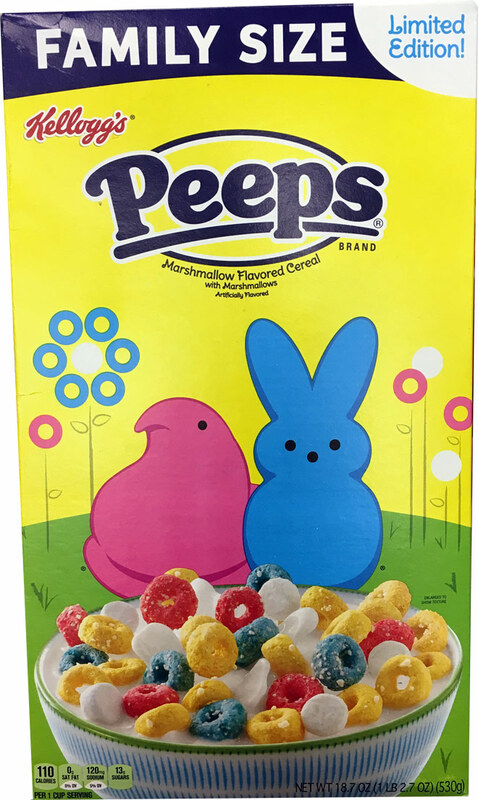 It's based on the popular marshmallow Easter treat called Peeps (although Christmas, Halloween and Valentine's Day themed Peeps are also now available seasonally). 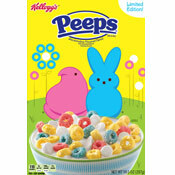 The Spring themed cereal box features a bowl of the cereal along with graphics of a pink chick Peep and a blue bunny Peep. 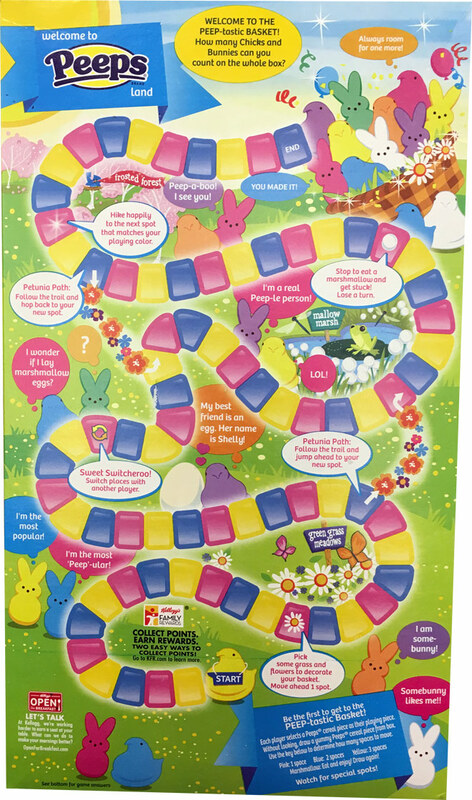 The main loop-shaped cereal pieces are tan, red and purple. The marshmallows are white and wafer shaped. The first 9 ingredients listed on the nutrition panel are sugar, corn flour blend, wheat flour, whole grain oat flour, contains 2% or less of corn syrup, modified corn starch, dextrose, oat fiber and salt. What do you think of Peeps?